The hiring manager is often undervalued, because the recruitment process is so complex. Not many realize what it takes to find qualified talent or how to develop a meaningful hiring process that proves itself over time. Likewise, Human Resources can also go unappreciated for their role in employee retention and/or turnover ratios. Yet, together, these two forces make all the difference in the world. Together, they drive successful employee relations by making sure all pieces of the puzzle fit together perfectly. They stand for peace and organization within the company. They act as the intermediate between departments and identify the daily needs of the workforce environment. They analyze operations and implement strategies for improvements to performance, productivity, and the effects of daily workforce activities. They save us on the costs of training, retraining and recruiting for each position. They keep our turnover low and our employees happy. Without a great hiring manager turnover can increase. Without effective human resources, the sales force can diminish. We can lose our sense of company morale. Our teams won’t be as effective. How do we combat this? How can we understand what makes the sales team tick like a Rolex watch, smoothly turning out sales without hesitation? It starts with an aggressive hiring process and a cycle that leads to long-term positioning across-the-board. 1. The sales force feels unappreciated. A lack of proper recognition, including awards for record-breaking activities and performance excellence, can really set back a person’s motivation to continue. After all, they are being paid pennies on the dollar in comparison to the time, effort, and energy they are contributing to higher sales and increased product awareness. Let’s be honest, friendly competition also drives the sales force. Being recognized as a leader in the department can motivate various members to compete against each other to achieve the “top score” week-over-week, month-over-month. Leaders can be vetted, and strategies can be replicated (link to Monday’s blog) through training and mentorship. Trusting our leaders to build their own teams, expand territories, develop sales materials, and lead internal programs will build confidence, promote excellence, and allow our work force to feel appreciated. 2. There is a mismatch of corporate values and culture. Some people are driven by helping others find solutions to their problems. Others mask the problems by convincing their clients that a problem can be solved by purchasing a solution – whether it really solves their problems or not. Both can be effective sales persons. However, one values ethic over the other. One may be motivated by money, while the other may be motivated by customer satisfaction. Understanding what motivates particular team members will allow hiring managers to eliminate certain motivations from inherently diminishing corporate values and prevent the public from beginning to distrust the brand itself. Likewise, ethical professionals are often put-off by the immoral behavior of unsavory sales practices. When these activities continue to take place, the ethical professional may begin looking elsewhere for employment – somewhere they don’t feel “dirty,” violated, or part of the corruption. 3. There’s a lack of justice or corrective action taking place. Some organizations pay their sales force solely based on numbers. Meaning teams and individuals may be motivated by how much they can make or by how much they need to sell. When certain members of the team aren’t making their quota – or when they are achieving their numbers “by any means necessary” – you may find a few different things happening. High performance becomes displaced by another’s low numbers. Therefore, those performing well are being scolded due to another’s failure to perform. Low performers may claim the sales of others just to make quota and protect their position on the team. Top performers may talk down on lower performers without hesitation and affect the synergy between that team. Additional factors that may affect the team, relate to ageism, misogyny, and other discrimination. If there is a lack of justice within the department, bad behavior continues. 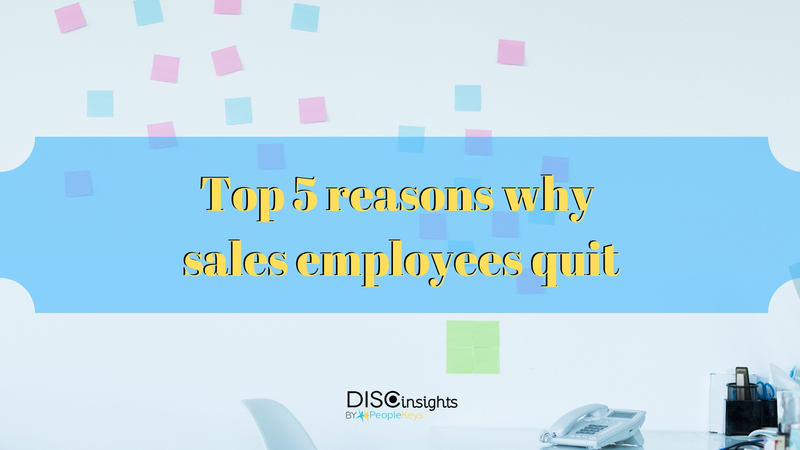 If there is a lack of corrective action, lawsuits will be filed, and key members of the sales force will simply fade away. As the company’s reputation becomes tarnished, it will be harder to find ethical employees and turnover will remain high. 4. Misunderstanding between top-level management, executive teams and the sales force. All misunderstanding can be prevented through improved communication. Regular meetings are important. Helping teams to understand one another, prevents miscommunication from taking place. Creating a “family,” as opposed to “a room of colleagues,” builds hierarchy, genuine appreciation, and uncompromised respect of one another. Communication allows the company to identify what’s really important and formulate a unified vision for the future. It gives insight on upcoming goals, deadlines, and threats. Presenting obstacles and working together to achieve new heights, ultimately forges bonds that cannot be broken. Without structure, without communication, and without strategy, misunderstand will surface. Misunderstanding triggers frustration, chaos, and can lead to the destruction of necessary bridges that can never be repaired. After an altercation, you often see people resign or get fired. By promoting communication, we can avoid high turnover and improve employee relations, while strengthening our culture at its core. 5. There’s a lack of motivation, including low commission and no room for growth. So much of this can be prevented by understanding the DISC traits of each incoming new hire. Want to get it right from the beginning? Find out “how to hire top performers and successfully build the sales force.” But if you’re working with existing teams, it may be wise to use DISC to optimize the workforce. By combining the DISC Personality Style, TEAMS, Workplace VALUES, and the Behavioral Attitudes Index (BAI), you can assess the four different dimensions of personality, behavior and thought processes, in addition to motivators that drive the workforce. A 4D assessment of potential candidates will help hiring managers to place the perfect candidate in the right role, build happier teams, and provide insight on how certain personalities can evolve over time.